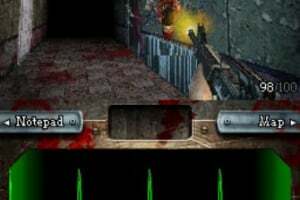 A healthy, suspense-ridden shooter, or just another flatliner? 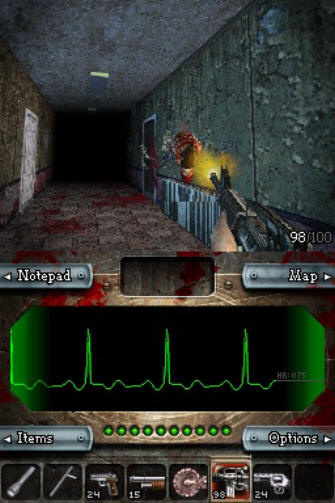 Due to the limitations of the platform, first-person-shooters are not a common sight on DS. 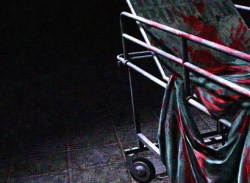 Indie developer Renegade Kid is one of the few out there to fully take advantage of the lack of competitors, but is Dementium good enough on its own merit? 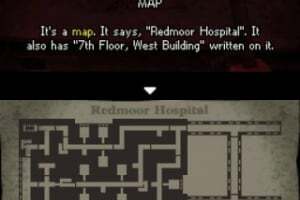 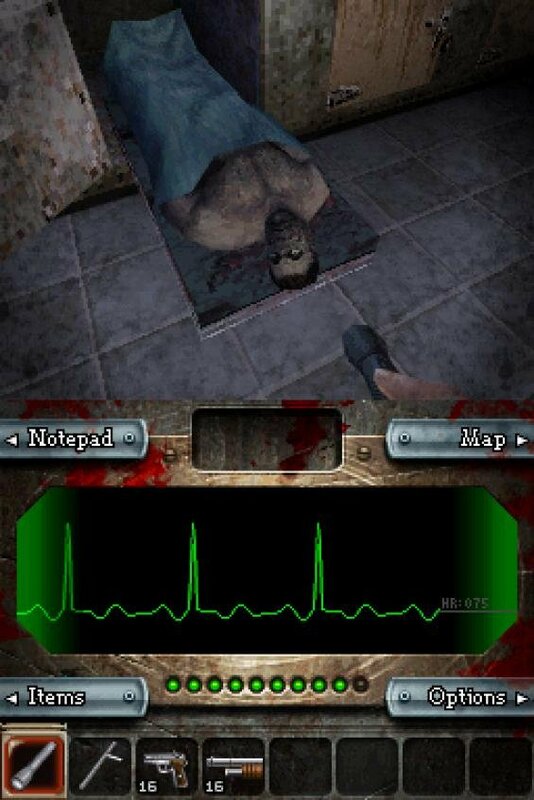 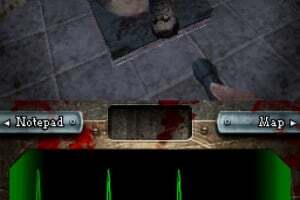 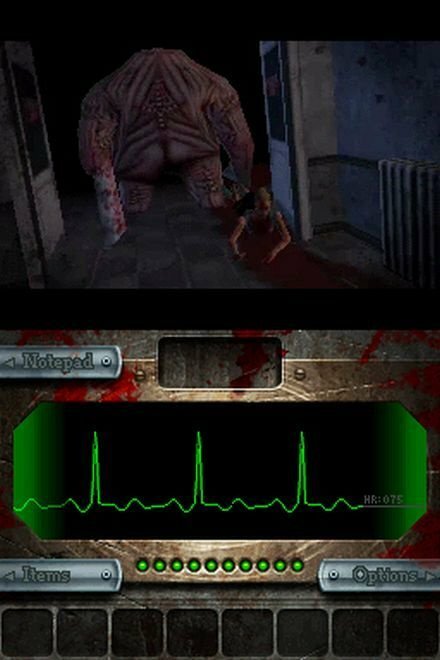 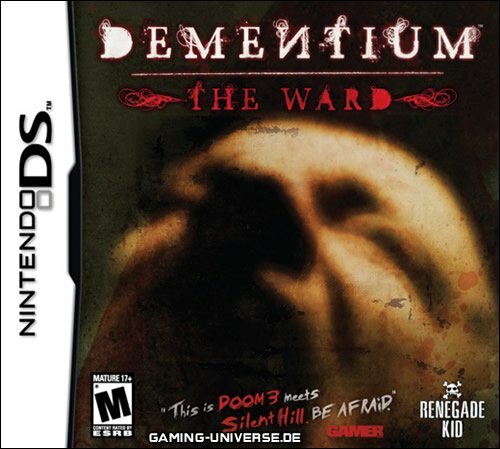 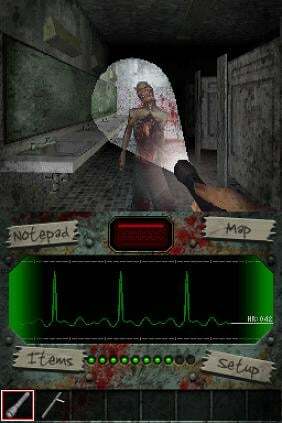 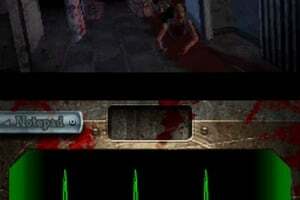 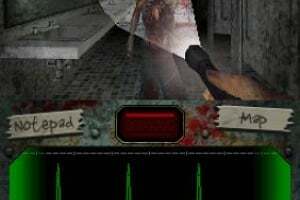 Dementium begins with a commonly overused starting scenario: you have no memory of who you..
Dementium: The Ward tells the tale of a man who awakens to find himself alone in a mysterious, derelict hospital that is frozen in time. 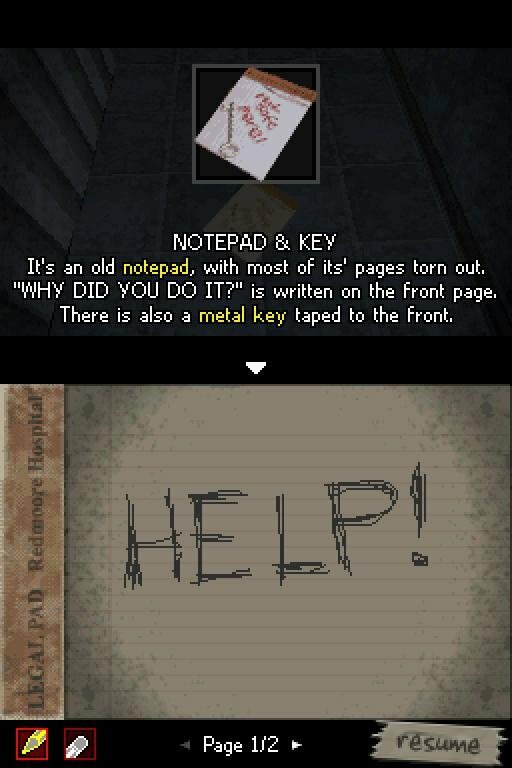 Why does it have to be M-rated. 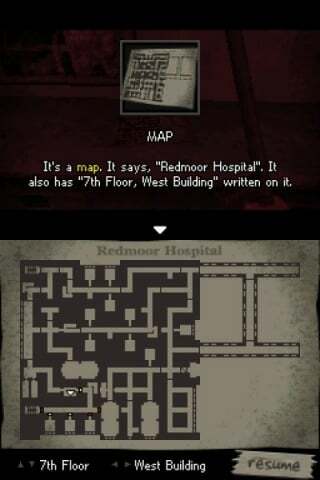 Why can't I be older. 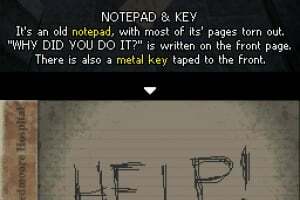 Whyyyyyyyyyy.